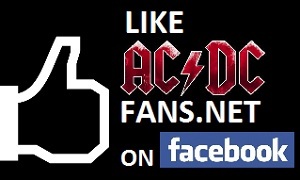 AC/DC drummer Phil Rudd is opening the doors of his restaurant at the Bridge Marina in Tauranga, New Zealand tomorrow for a private dinner party. Phil’s Place will open to the general public on Tuesday, reports New Zealand’s Bay Of Plenty Times. But don’t expect to be able to just walk in – the restuarant is fully booked up every weekend until Christmas. Tomorrow’s private opening will not be the huge party originally planned, Rudd added. “I haven’t invited the band all at once due to schedules but they will be coming to eat soon. I don’t want to do the big opening but keep it soft at the beginning in the run-up to Christmas and summer. Since Rudd bought the restaurant in August, the venue has undergone extensive refurbishment – complete with a fireplace and black suede chairs giving the place a rock star feel. 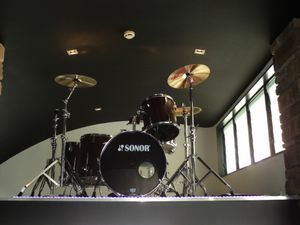 A raised floor is home to the AC/DC star’s Sonor drum kit. There is also a private function room. Rudd has bought the cafe on the other side of the restaurant with plans to merge it with Phil’s Place. So what can patrons expect on the menu? Chef Cody Hogg has compiled an extensive lunch and dinner menu which includes a set menu, buffet option, and tapas. Christmas Day patrons can expect a truffle-stuffed turkey. “We want locals to come and the menu is priced accordingly but there are special items for those occasions when you do want crayfish and champagne, you can get it here,” Rudd said. Nathan Blake is bar manager and general manager is Leo Roberts. The Maitre’d is Daniel Rodgers-Purdie, and anyone wishing to book a table can contact Mr Rodgers-Purdie on 07 574 4147.